Back in the summer of 2011 I reviewed the first offering from a brand new cigar company now called RoMa Craft Tobac (I don’t think that’s what it was called back then but my memory may be faulty). The cigar was the CroMagnon and it was an excellent cigar; a robust, flavorful example of what can be done with tobacco. 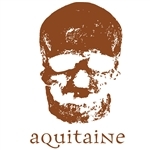 Now I’m going to review the CroMagnon Aquitaine. So, different wrapper. And this different wrapper looks fairly rustic with a number of medium and small sized veins running along the surface. It’s an oily wrapper, for sure, and the general feel of this medium-dark brown wrapper is that there is a little bit of roughness to it. Flavors start out vibrant with a granular consistency to the smoke. A bit of sweetness, savory notes resembling steak, spice and hickory. There’s a lot of complexity early on and it’s barely a full bodied cigar. The second third has much of the same flavors just in a different configuration. The spice and sweetness have created this amazing mixture of flavors that is extremely enjoyable. Sweet spice, when done right, is one of the more enjoyable mixtures of flavors for me and it is done right with this cigar. Savory notes are still present but to a lesser degree than in the first third. Hickory is gone. The final third features the same sweet spice nexus and the savory flavor has been ramped up a bit. Very flavorful end to a great cigar. Full bodied with a good draw and burn; the CroMagnon Aquitaine is a pleasure to smoke. Very expressive flavors from beginning to end with excellent smoking characteristics. If you haven’t tried it you should try to find some. And, yes, I do like this version slightly more than the original.